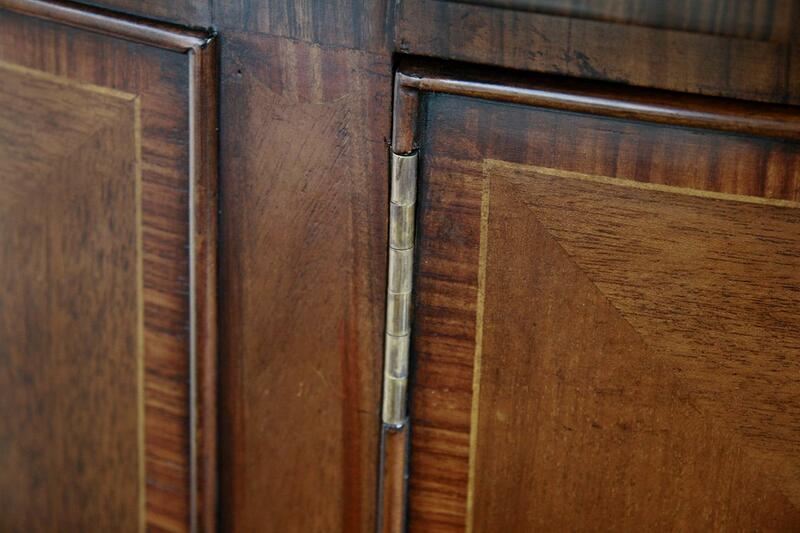 Very high end cabinet compares to cabinets two times the price. 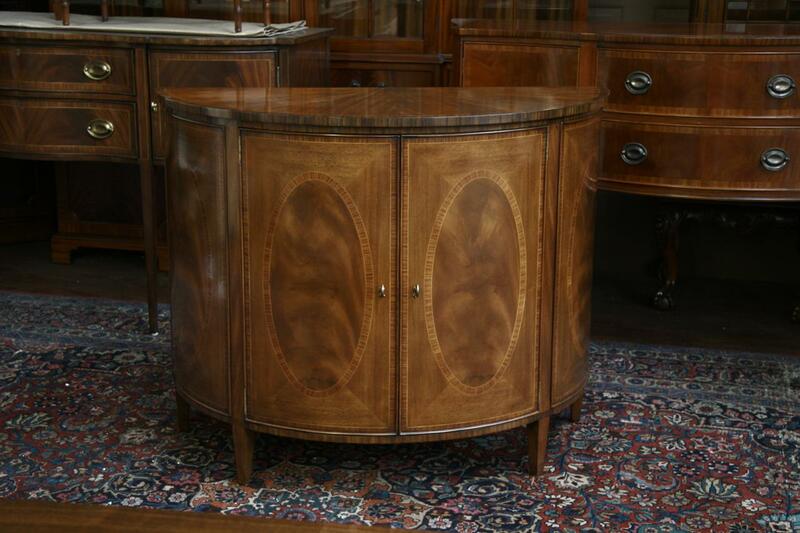 Impressive high end demilune chest cabinet. 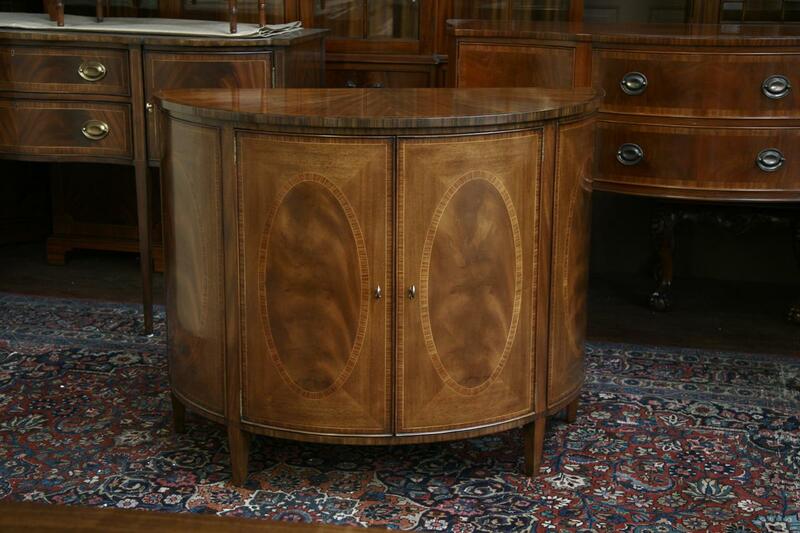 This is a Philippine mahogany cabinet and it the best new quality money can buy. 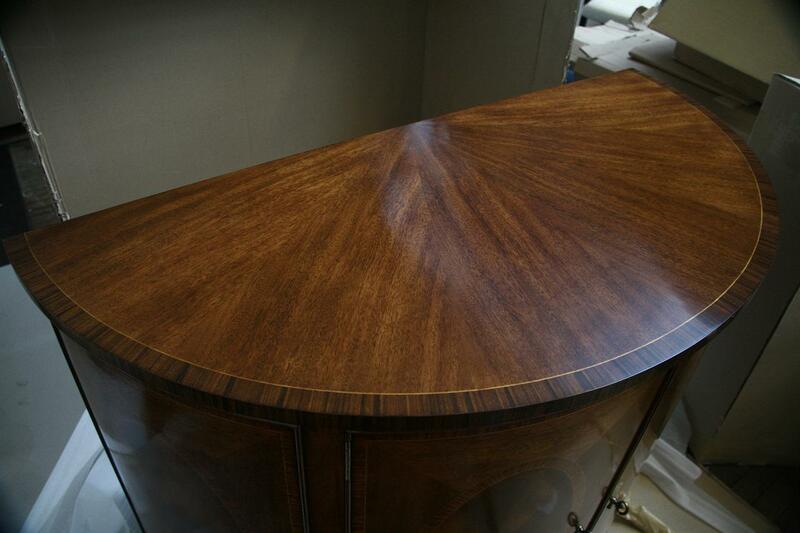 Finish is deep golden brown mahogany. 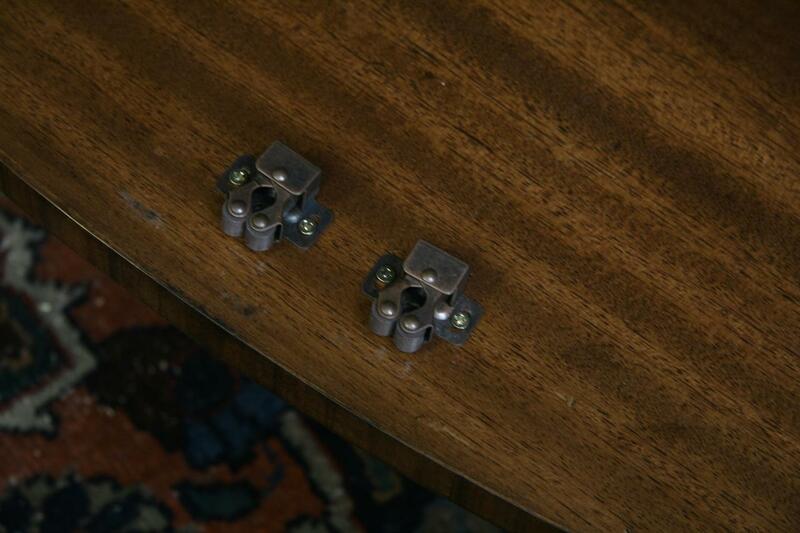 Table stands on short Hepplewhite spade foot legs. 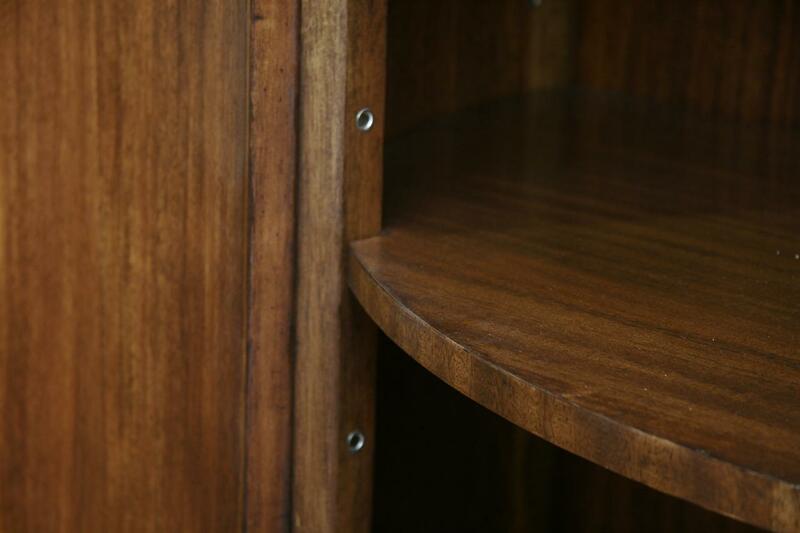 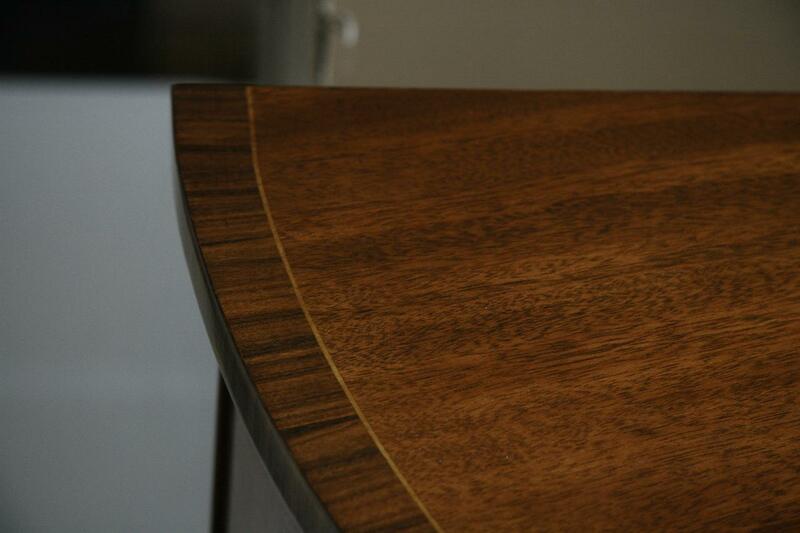 Circular door fronts open and close smoothly and the overall craftsmanship on this cabinet is awesome. 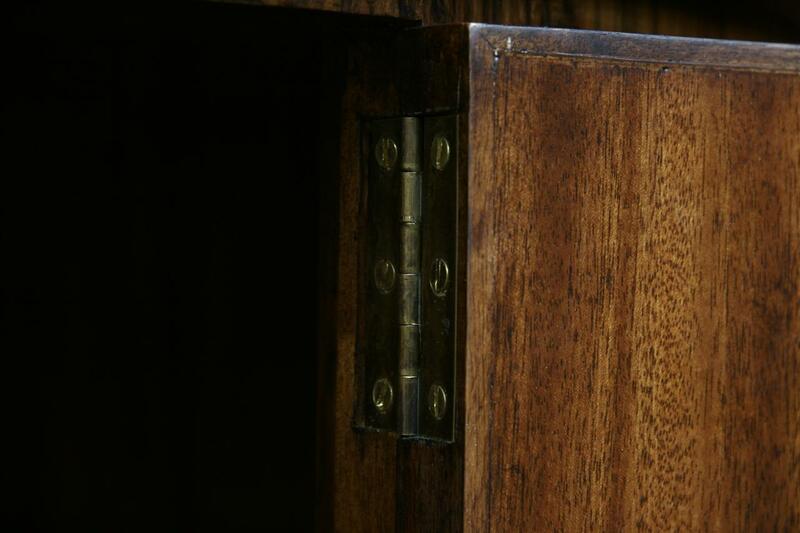 Hinges are neatly set back and are well disguised in the detail moldings. 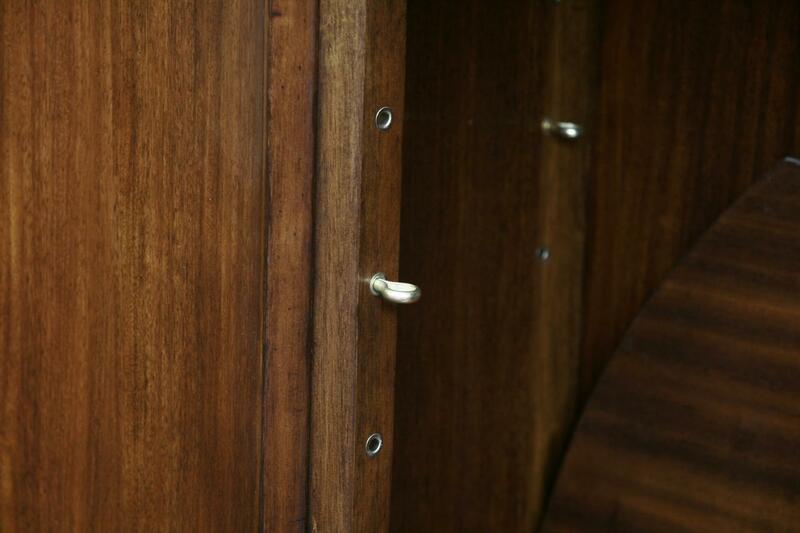 Cabinet has a 40 sheen glossy finish, which is not overly shiney, but it does have some shine. 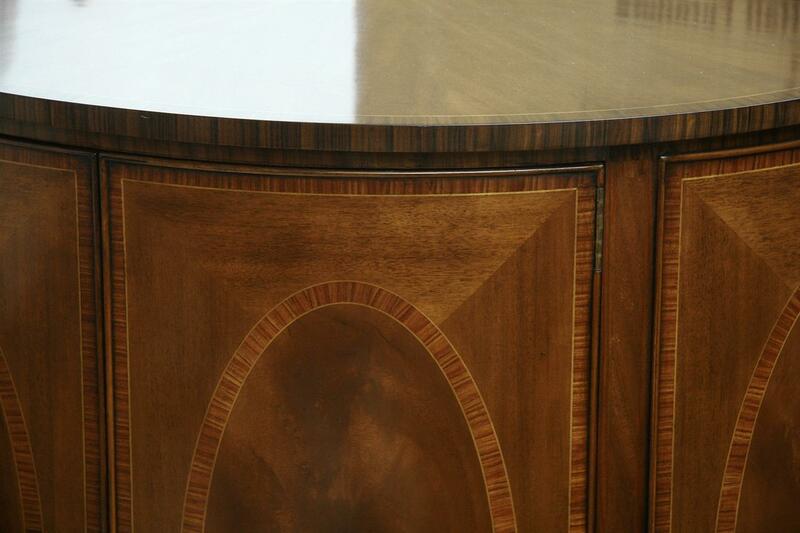 Cabinet is made from mahogany and it is a very heavy and dense cabinet. 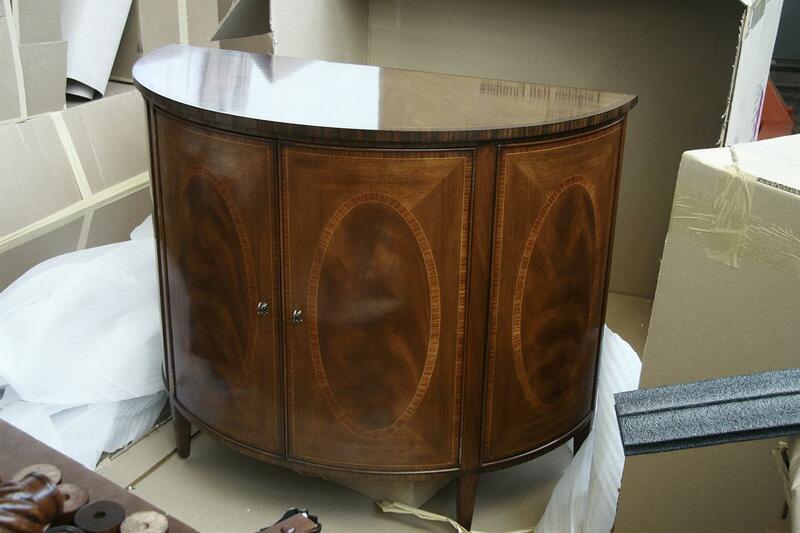 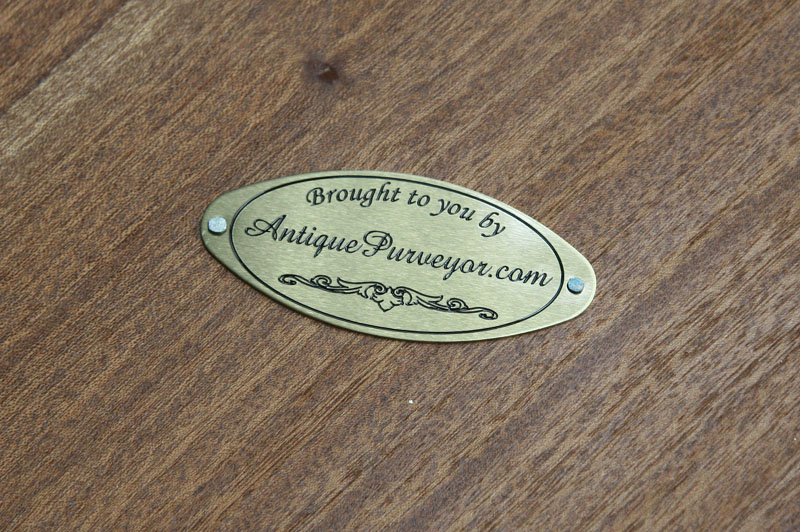 Our site has been looking for a quality demilune for about 5 years and this cabinet has been a long process. 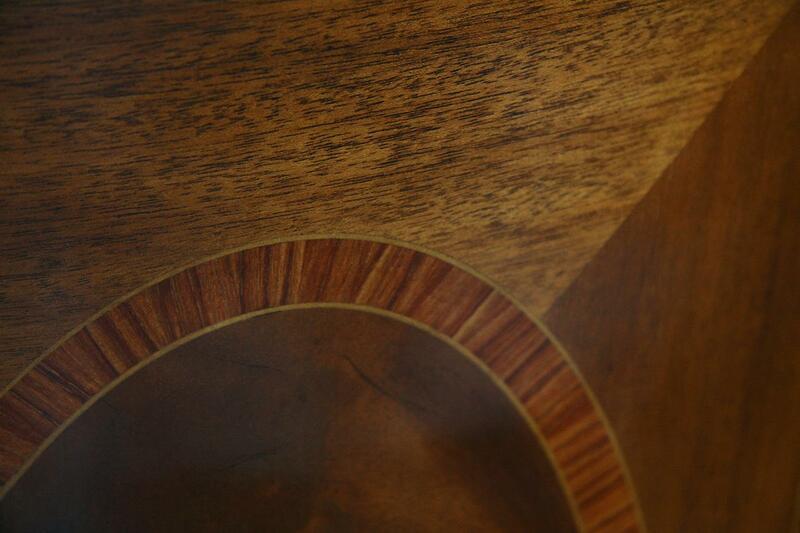 Quality demilunes are usually two times this price. 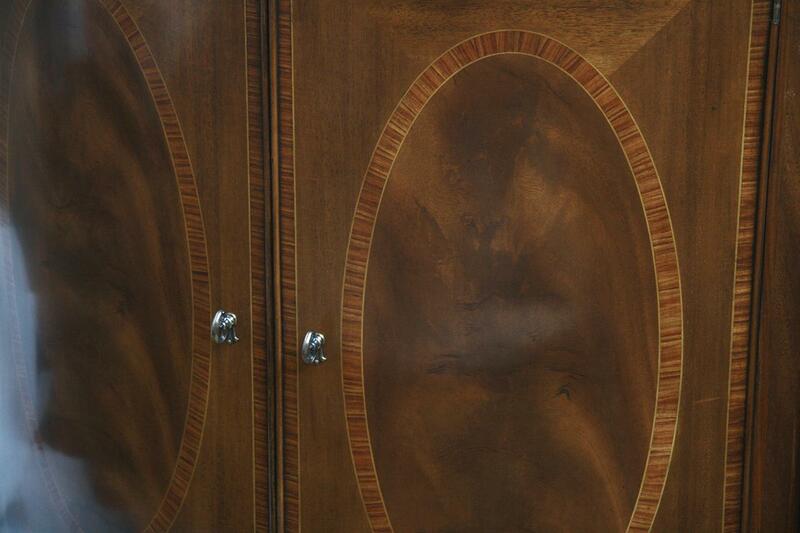 We only have 2 cabinets, one of which may be sold already. 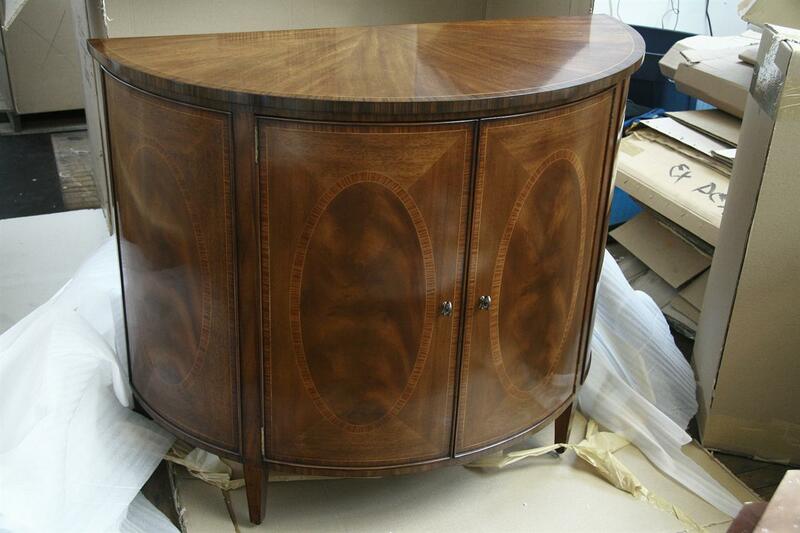 Condition: New first quality cabinet, never been in house yet.